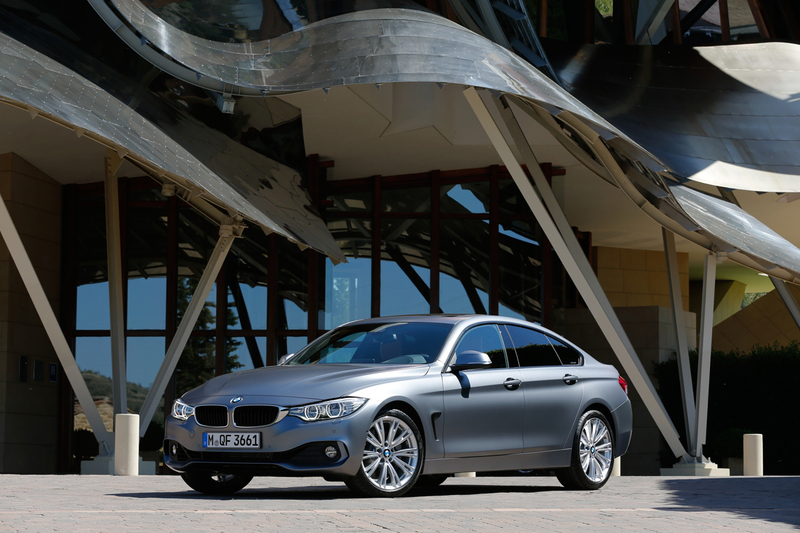 BMW NA July Year-on-Year sales dropped 14.8% in a month when the overall industry sales volume dropped 6.9%. The last holdouts for this year not ending in overall decline for US light vehicle sales have folded their tents and gone home, as July numbers were lower than forecasts. Incentives were up a few percent overall and inventory levels are increasing as well. Neither of these trends are encouraging. The industry is paying more for each sale, and producing cars at a rate faster than buyers will take them off the dealer lots, despite the increase incentives offered. The BMW Group (BMW and MINI combined) offered incentives of $4,625 per car according to ALG, a 1.3% increase over June incentive spending. 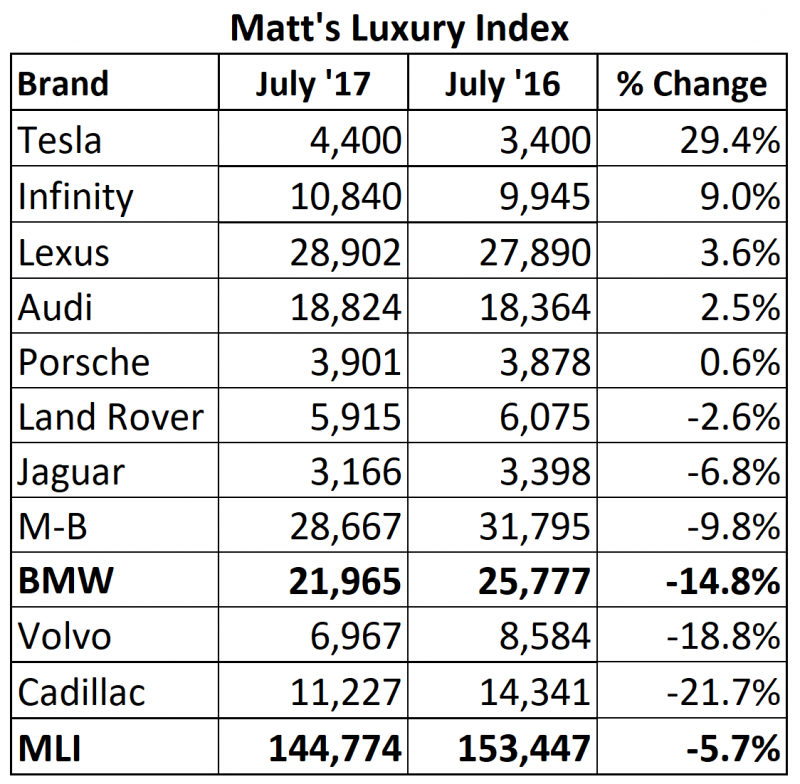 Looking at Matt’s Luxury Index, BMW should be worried a bit, again. 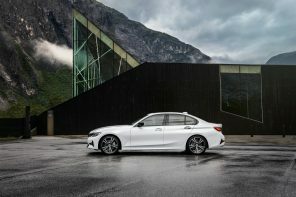 Not only was BMW the worst performer of the big three luxury brands (BMW, Mercedes-Benz and Lexus), Lexus moved almost 7,000 units more in July than BMW! Two more months like this and BMW will drop to third in the luxury sales race. In July, just 3,141 units separated Audi from BMW, making the formerly unthinkable thinkable: Audi overtaking BMW in the US! Only the 4-Series and 5-Series showed any growth for sedans, and declines in the 3-series were within 149 units of equaling total 4-Series sales. Even though the X1 is grouped as a “passenger car”, combined X-Series sales were down slightly as well. Not good in a country where SUVs and trucks are selling well. 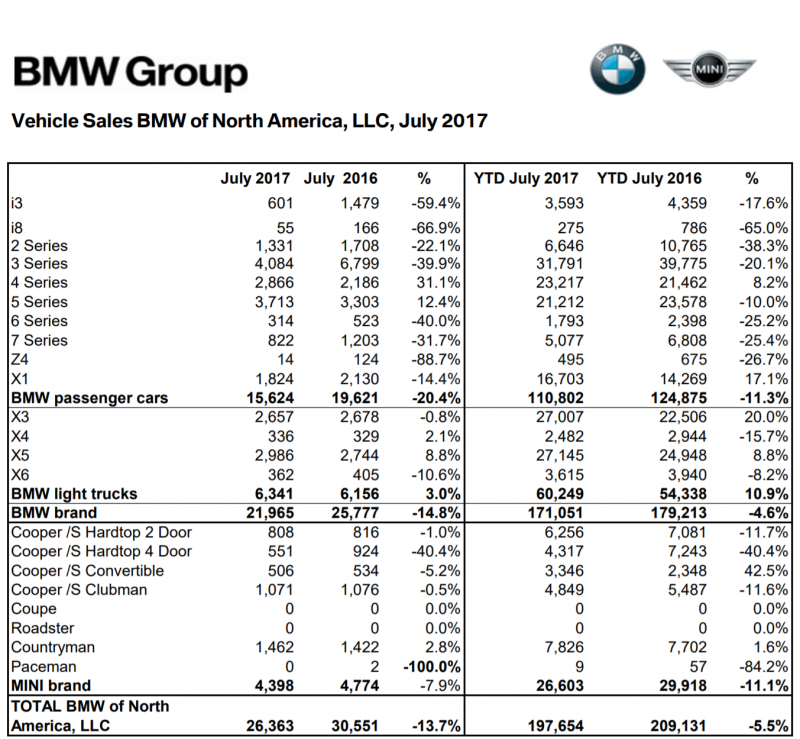 Official News: Woodcliff Lake, NJ – August 1, 2017… Sales of BMW brand vehicles decreased 14.8 percent in July for a total of 21,965 compared to 25,777 vehicles sold in July 2016. 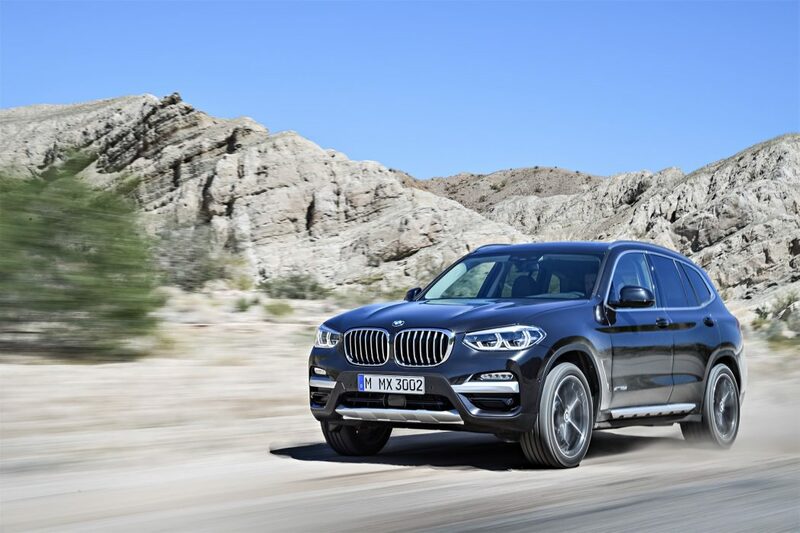 Year-to-date, the BMW brand is down 4.6 percent in the U.S. on sales of 171,051 vehicles compared to 179,213 sold in the first seven months of 2016.
Notable vehicle sales in July include the BMW 4 Series which increased 31.1 percent to 2,866 cars, the BMW 5 Series which increased 12.4 percent to 3,713 vehicles, and the BMW X5 which increased 8.8 percent to 2,986 vehicles. In July, BMW Certified Pre-Owned sold 11,857 vehicles, a decrease of 0.2 percent from July 2016. Total BMW Pre-Owned sold 20,956 vehicles, a decrease of 7.8 percent from July 2016. Total BMW Pre-Owned cars sold year-to-date were 140,607, a 15.7 percent increase from the first seven months of 2016.